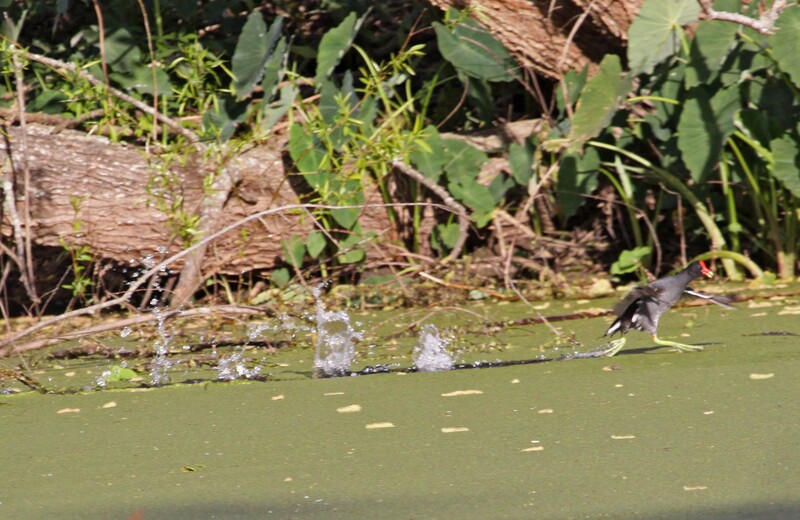 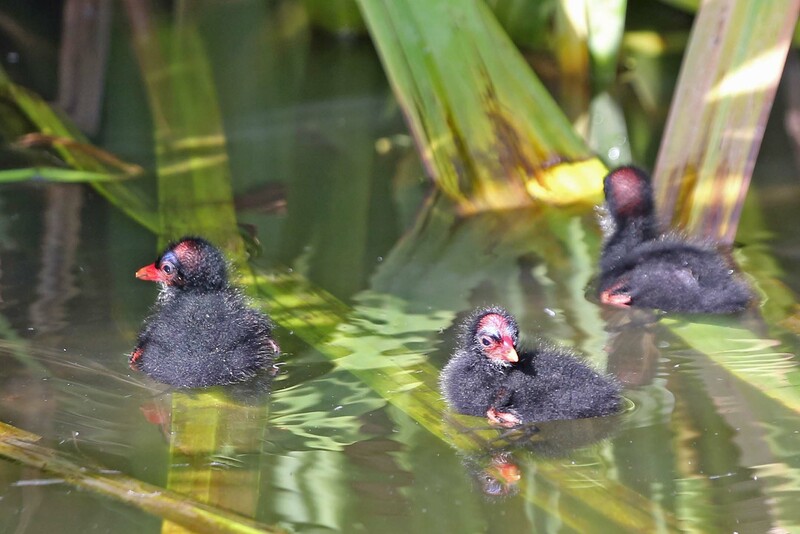 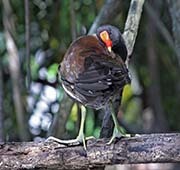 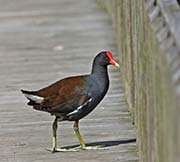 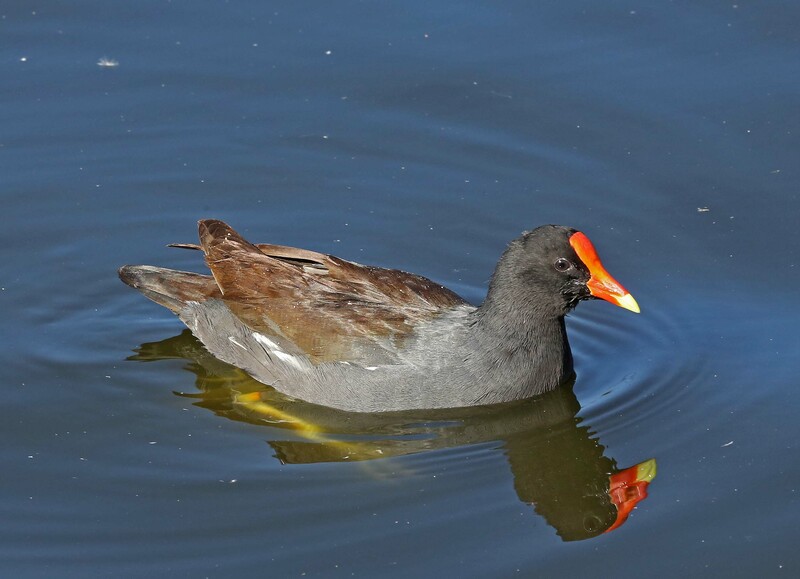 The Common Gallinule (formerly the Common Moorhen) was split from the Common Moorhen by the American Ornithologists' Union in July 2011. 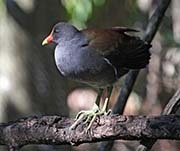 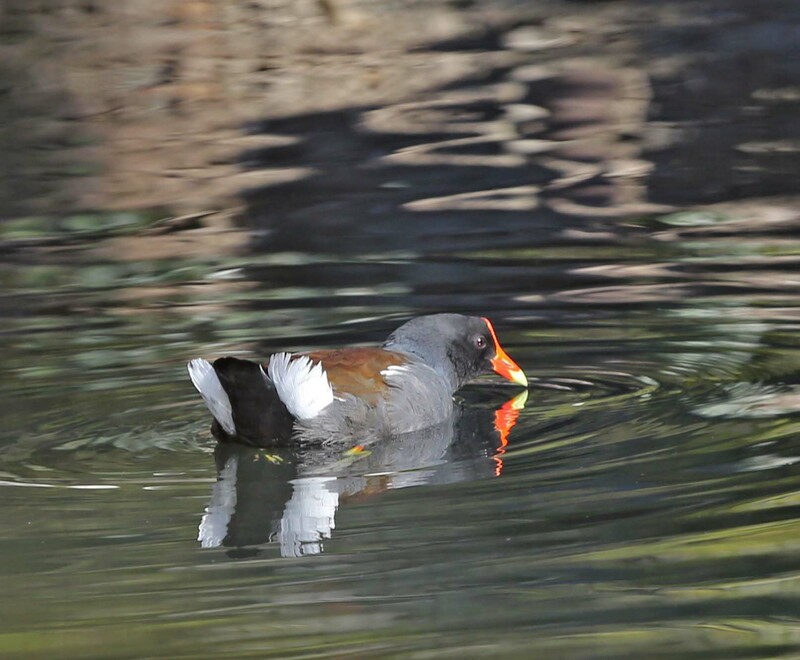 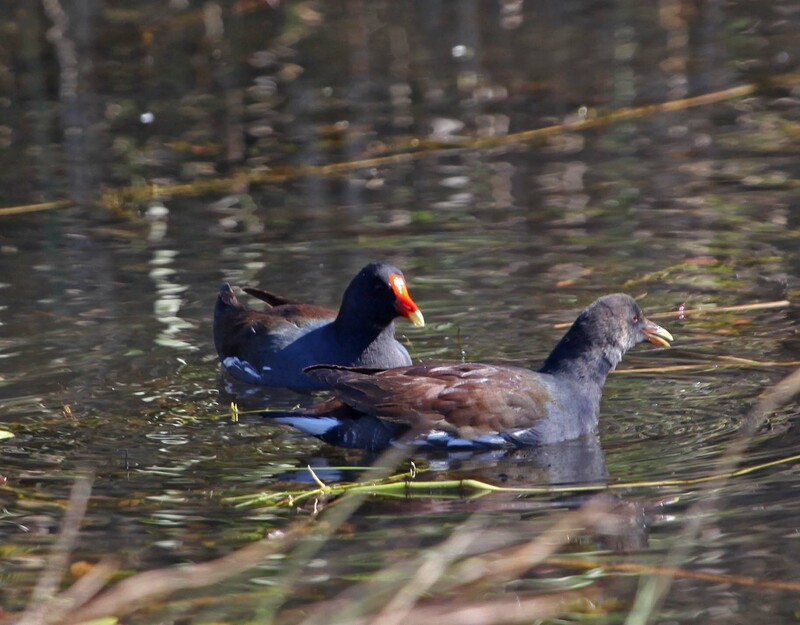 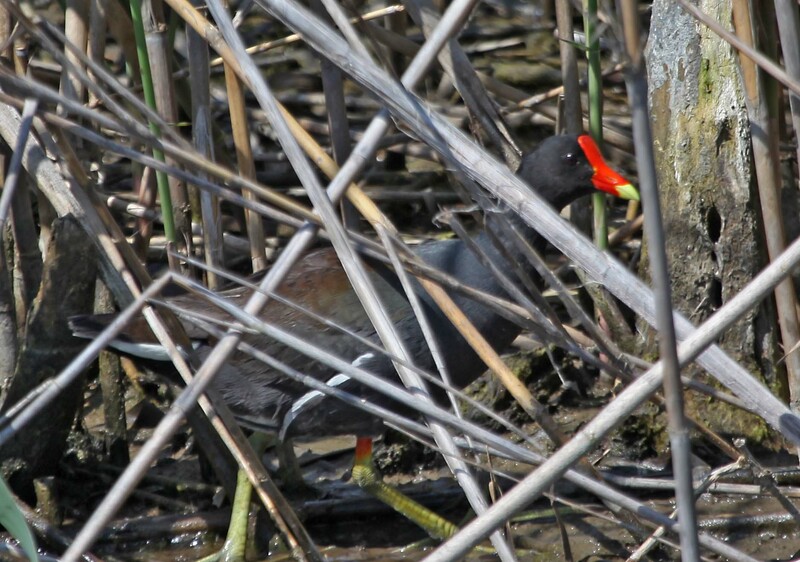 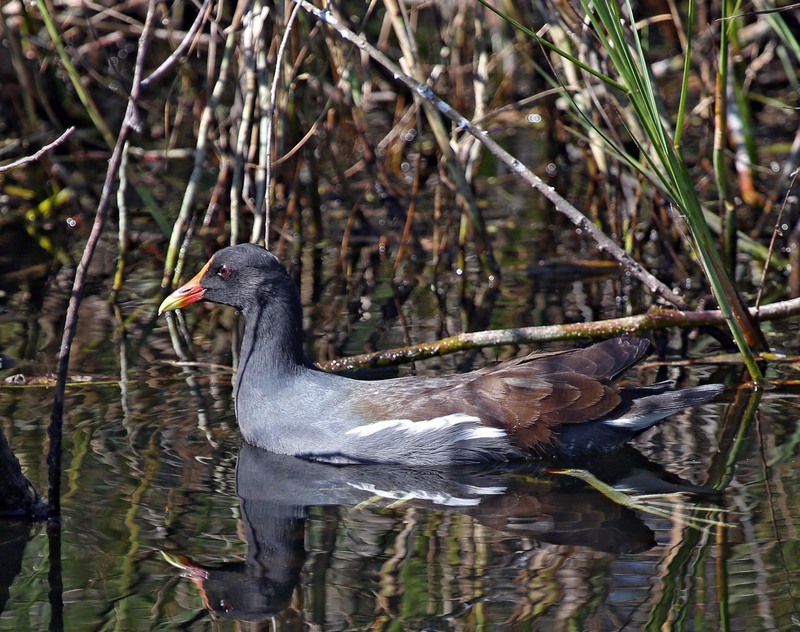 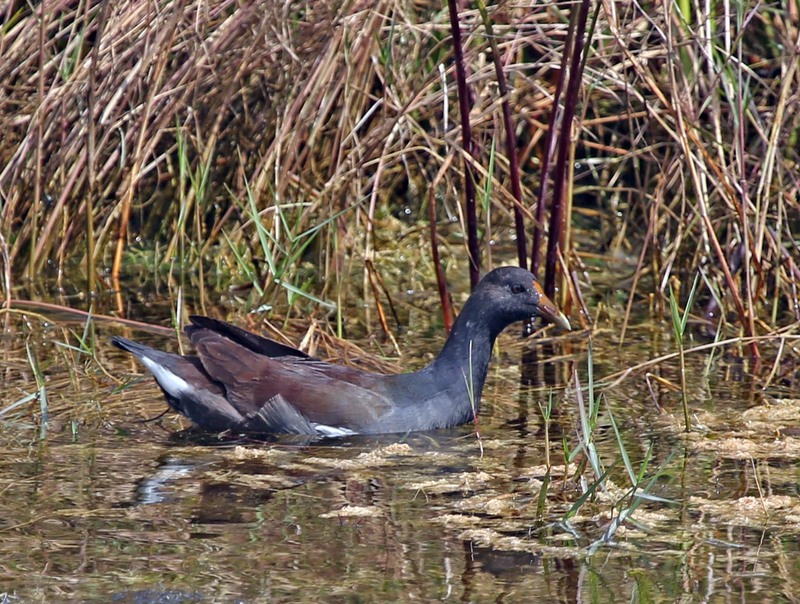 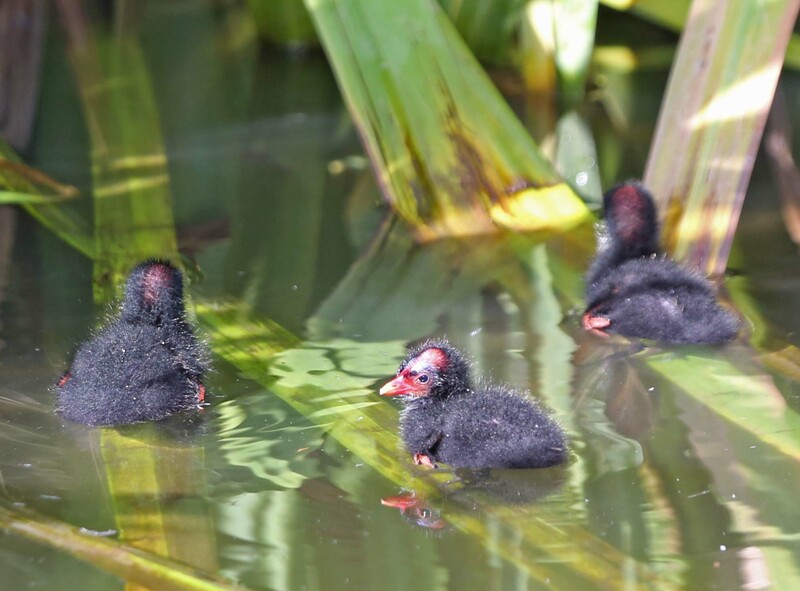 The Common Gallinule prefers freshwater marshes and is found throughout North America. 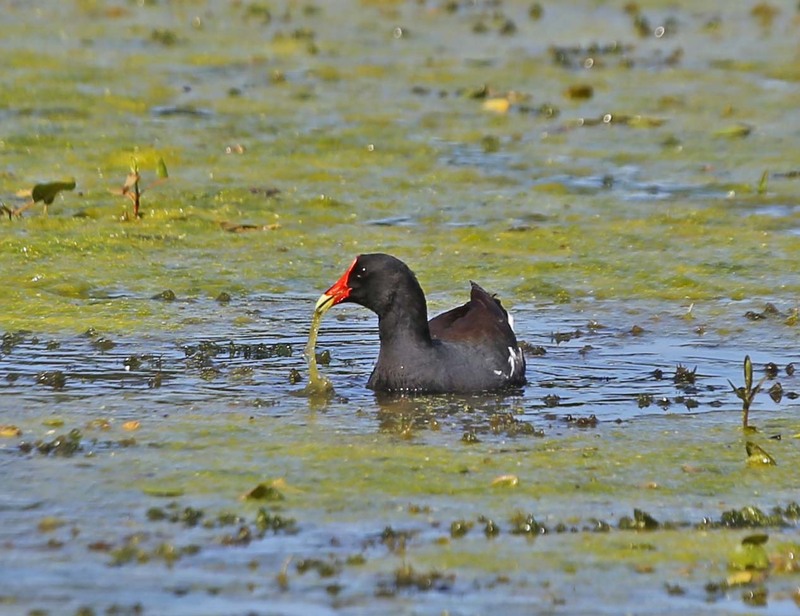 Their diet consists of grasses, sedges and sometimes snails. 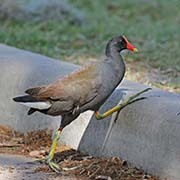 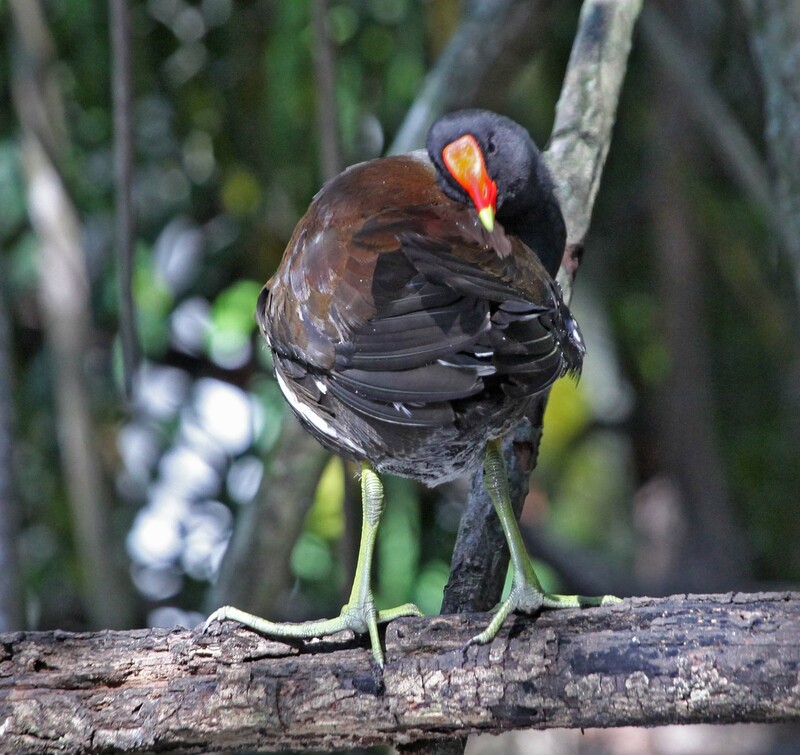 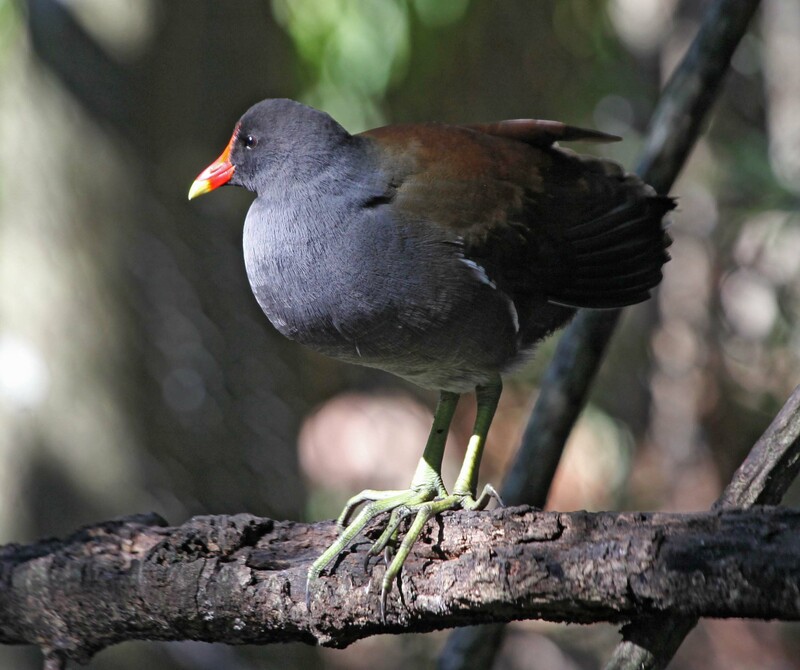 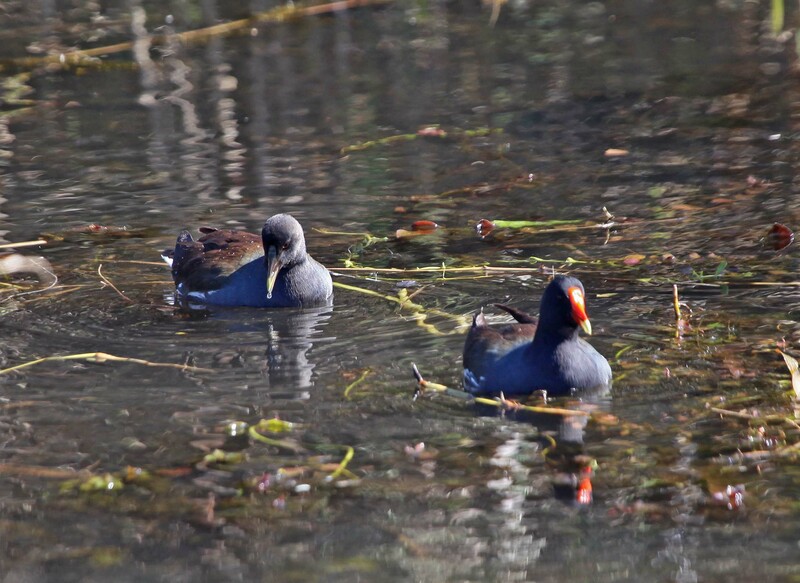 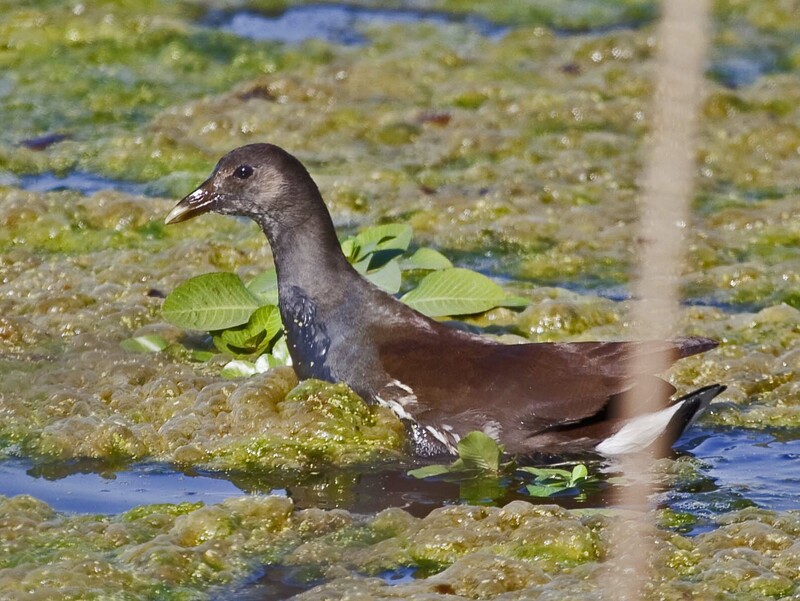 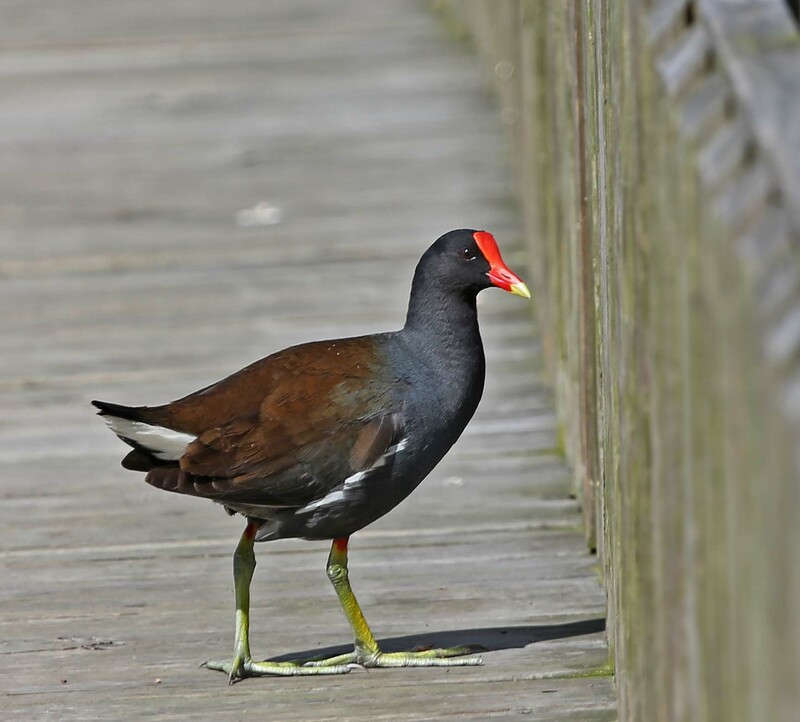 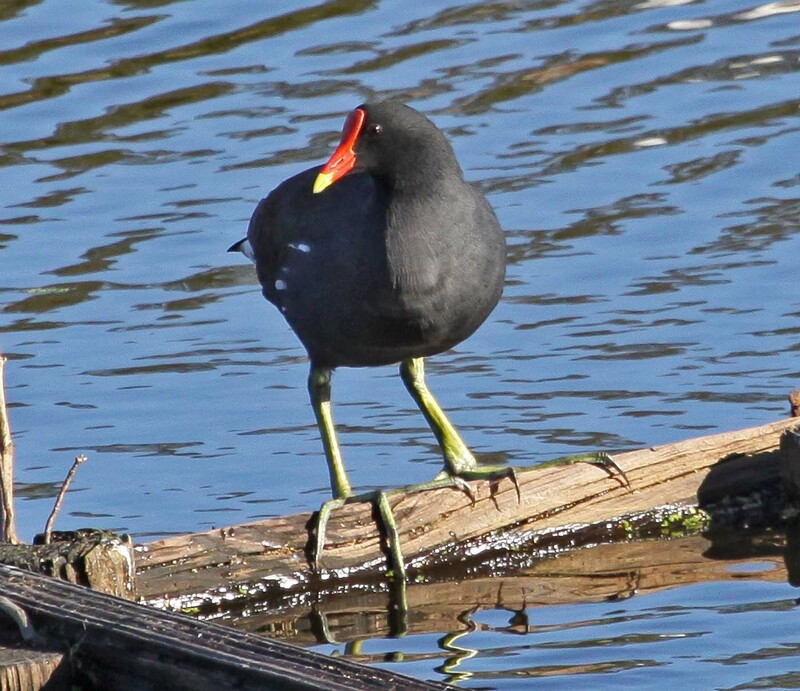 The toes on the Common Moorhen are extremely long and there is no webbing. 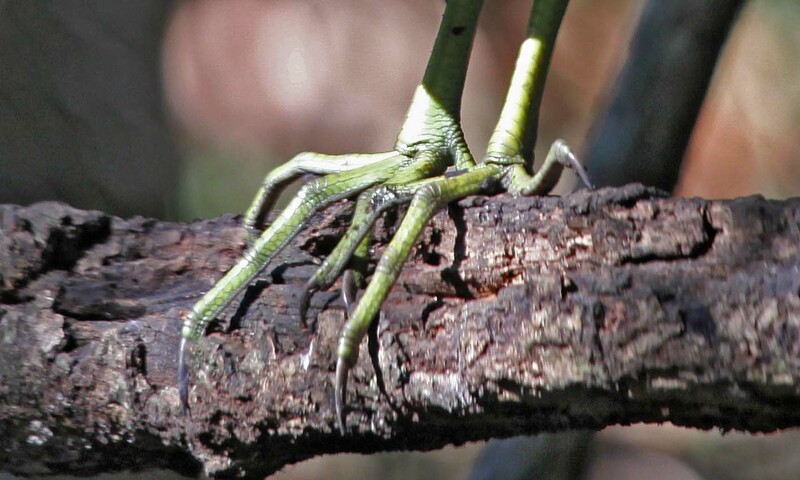 This supposedly makes it possible for them to walk on floating vegetation. 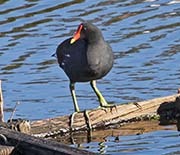 As one of the pictures below shows, they can also run across water.